The consortium of the Next Air Biotreat project is glad to communicate that all the objectives that were presented during the kick off meeting four years ago have been successfully implemented. The consortium would like to congratulate all the researchers and people involved in the project, thanks to their hard work we all have increased our knowledge from each other’s expertise. We would also like to thank the European Commission for giving us the opportunity to develop such an exciting R&D project. 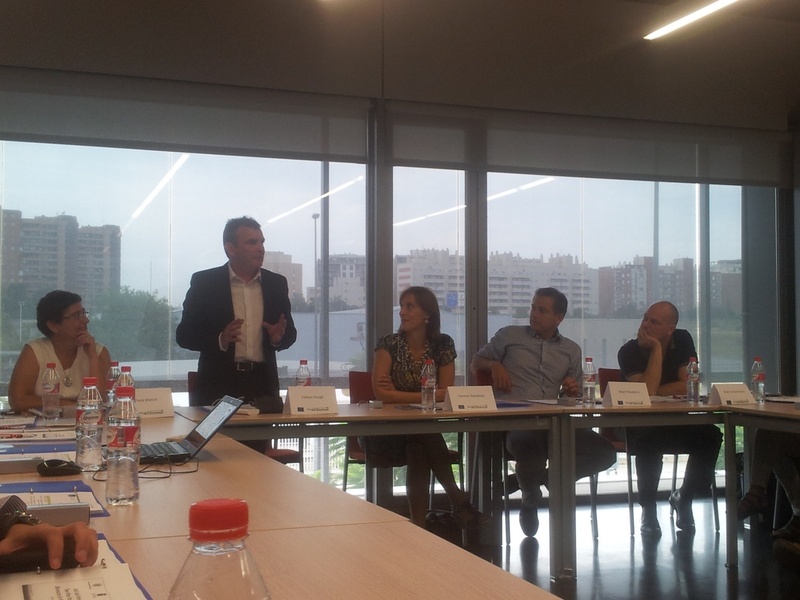 The final conference was held on September 10th in the facilities of the coordinator of the project, the Universitat de València. Preceding the final conference, on 9th of September the General Assembly had a meeting to plan the closure of the project. The final conference was focused in the long-term impact to the three partners, and the future collaboration between them coming from this project was introduced. In the afternoon, a technical workshop to discuss the last advances in the project was organized. Dr. Guillermo Quijano provided the key note lecture to the audience about two phase partitioning bioreactors. Dr. Quijano is an associated professor of Chemical Engineering Department at the University of Valladolid and is hold in the Universitat de València as visiting professor in the framework of the regional Prometeo/2013/053 research project. It has been a pleasure! Thank you, merci, dank u wel, gracias, gràcies!